Help us honor those firefighters who died in the line of duty prior to 1981. The National Fallen Firefighters Memorial was built in 1981. It is a striking stone monument encircled by plaques listing the names of fire service members who died in the line-of-duty since then. The National Fallen Firefighters Foundation has initiated Project Roll Call in order to identify and honor firefighters who died in the line-of-duty prior to 1981. A major part of Project Roll Call is a special section of the Walk of Honor® at the Memorial Park in Emmitsburg. This brick Walk of Honor® connects the monument, the historic National Fallen Firefighters Memorial Chapel, and memorial plazas. Each brick on the walkway bears a personal inscription. 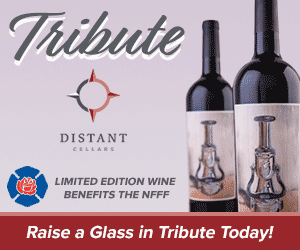 The National Fallen Firefighters Foundation has received many donations from organizations around the country to help fund bricks to those who lost their lives in the line of duty prior to 1981. Construction has begun on this new section of bricks. All proceeds from the sale of these bricks help to finance construction of the Memorial Park. Please consider making a donation, choosing the Project Roll Call designation option. For more information on Project Roll Call visit our website.